Dave and I were watching "Six Feet Under" last night, as we've taken to doing in the evenings, when Dave -- looking at his phone -- called out, "Notre Dame is on fire!" "What?!" I thought. "How is that even possible?" It seemed so patently absurd I'm embarrassed to say we didn't turn off our TV show. Isn't Notre Dame made of stone, after all? And isn't it one of humanity's most dearly held and most venerated creations? Surely it couldn't burn down. I imagined a small fire, something in a broom closet somewhere, that would quickly be extinguished leading only to alarms and inconvenience for tourists. Instead, as we've all seen, we got an event that seems apocalyptic. Although the building's outer walls and many of its artworks -- tucked into the shelter of the stone vaults -- appear to have been saved, the degree of damage is hard to fathom. I've been to Notre Dame twice, in April 2000 and again in April 2013. I don't remember much from my first visit -- in fact I'm not sure I even went inside. 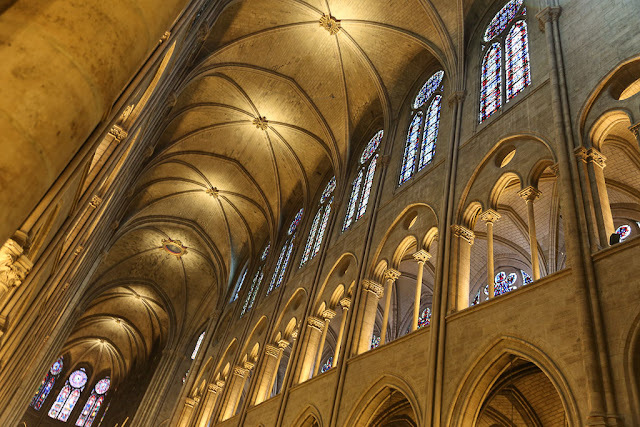 I remember being enthralled by all the flying buttresses on the exterior -- having studied them in our Gothic architecture overview in my introduction to humanities course in college -- and of course the famous gargoyles. I took these pictures of the interior when Dave and I visited on that second trip. It's hard to believe that fire could virtually demolish something so irreplaceable -- a structure that stood for centuries through world wars and revolutions and coronations and periods of national and international celebration and mourning. But of course, fire doesn't care. Once it gets started, it just consumes. I can't help feeling a sense of collective irresponsibility. How did we manage to let this happen? All of us, humanity, into whose hands our ancestors delivered the cathedral? It's like being entrusted with your great-grandmother's diamond ring and dropping it down the sink. Except worse. It seems especially strange to think we just happened to be alive to witness this, considering all the generations of people who have come and gone since Notre Dame's construction, for whom the building stood solid and relatively unchanged. We've experienced something momentous in our history as a civilization -- as a species, even. I guess it really is true that, as the Buddha observed, nothing is permanent. It would have been very tragic if the fire had been caused by a bolt of lightning but it looks as if it was caused by human carelessness displayed by a workman who was meant to be involved in renovating the building. I wonder how he feels this morning. As I said on my post last night, this all makes me wonder if humans are even capable of imagining and then building such a thing any more. Have those days passed for us? You have wonderful photos here. I looked through mine this morning and the last time I was inside Notre Dame, all I had was a little point and shoot camera so my interior photos are not that great. I was at work yesterday when I saw the news flash so I went on line and saw the photos of it burning. It was a devastating feeling. It really made me think about all the beautiful and historic places I've seen in my travels and how precious they are to the world as a whole. I love your perspective, Steve. You wrote the words I couldn't find. I've never been to Paris, so never stepped foot near this huge ancient work of art. And yet reading about the fire, seeing the steeple in flames moved me in such a way. Your words here said why. Thank you for that. It is such a loss. 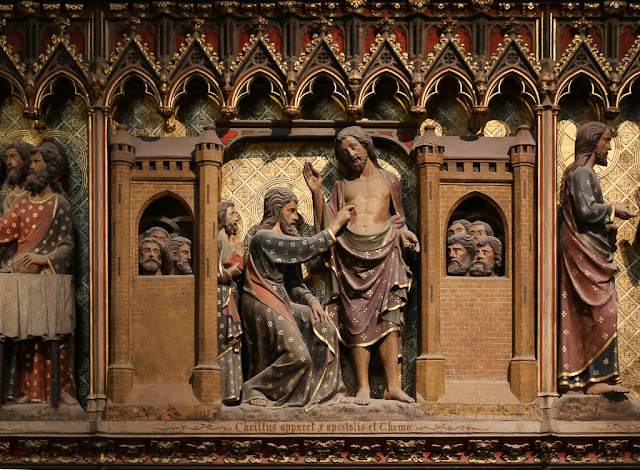 PBS talked to an art historian in Italy last night, and she said she never thought she would outlive Notre Dame. I certainly did not. We were there in 2002, with a point and shoot camera, so picture quality was not great. Yours are better. 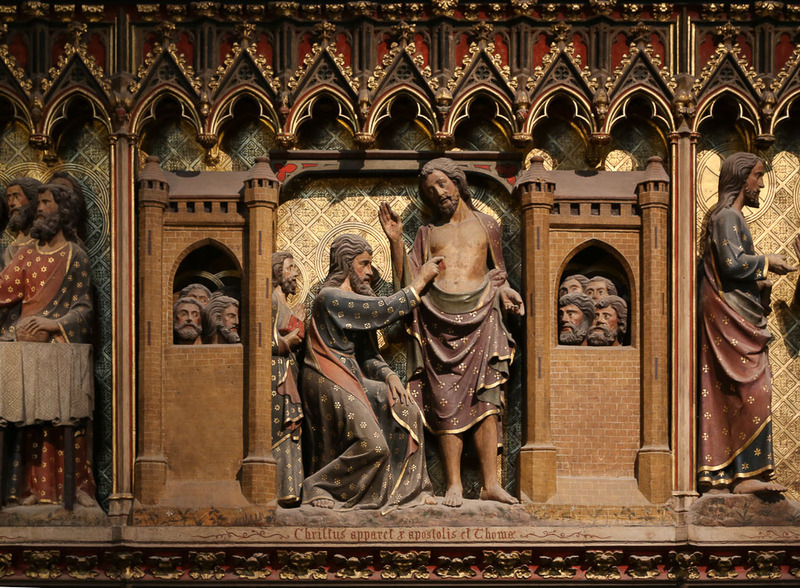 Someone commented yesterday that if Notre Dame had not been a church it would have been condemned years ago. All that wood in the construction of many of the old churches is definitely a fire hazard. I hope it will be rebuilt with modern materials. 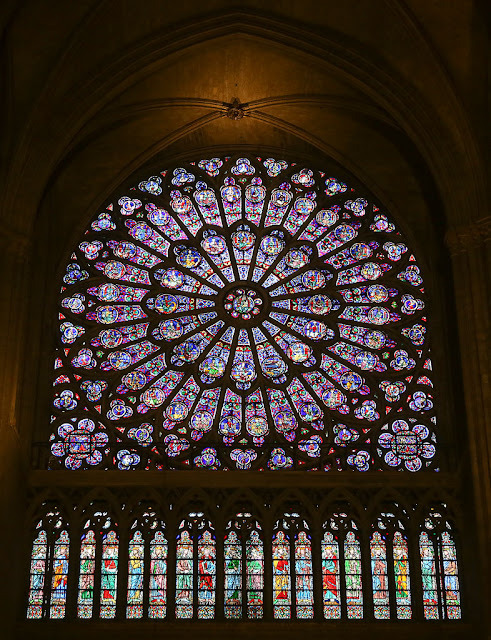 My wife worried about the rose windows which we saw when we visited Paris nearly 35 years ago. I was surprised the building burned like it did when so much of the structure is steel stone and concrete. tragic as the fire by carelessness is, at least it was accidental unlike the Taliban purposely destroying the Bamiyan buddhas. the area that burned was a bonfire waiting to happen, 800 year old dry as bone wood. it remains to be see I think what the actual damage is and how much of the stained glass was destroyed. 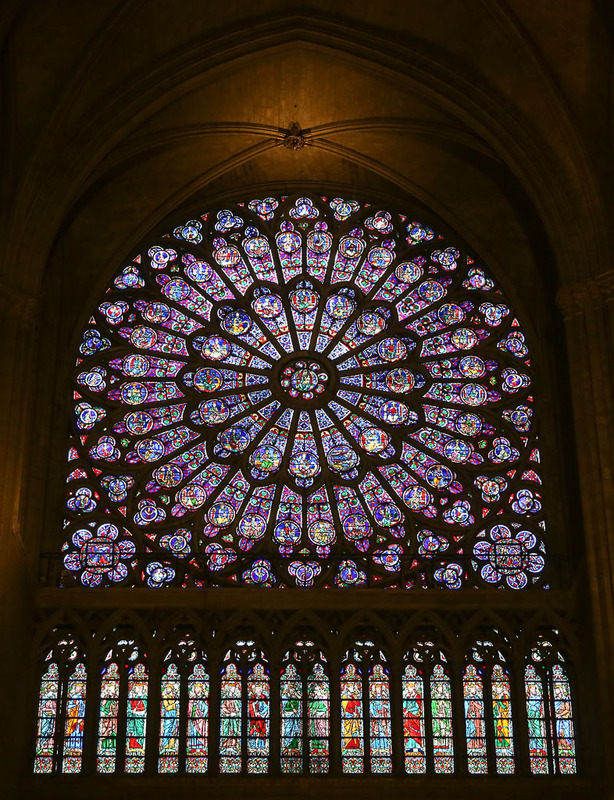 I also thought about that beautiful rose window. I used photos of it for years in my art classes to show an example of radial design. So beautiful. I haven't heard anything about the stained glass yet - maybe it was saved. How could this have happened?